The Supper Club was a New York City venue that hosted many a memorable music show in its day. It’s been closed now for years, but I happened to have walked past it recently and recalled my only concert experience there. I came to The Replacements too late in the game to catch them live, although I do remember being intrigued by them when they performed on SNL in 1986. 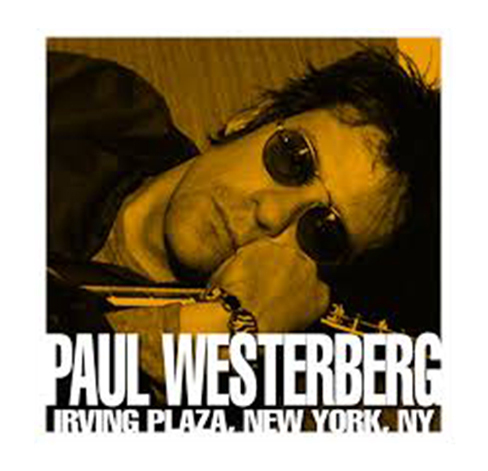 I kept up musically with leader Paul Westerberg and made sure to see him at New York’s Irving Plaza in 1996. With guitarist Tommy Keane in tow he played nearly thirty songs. 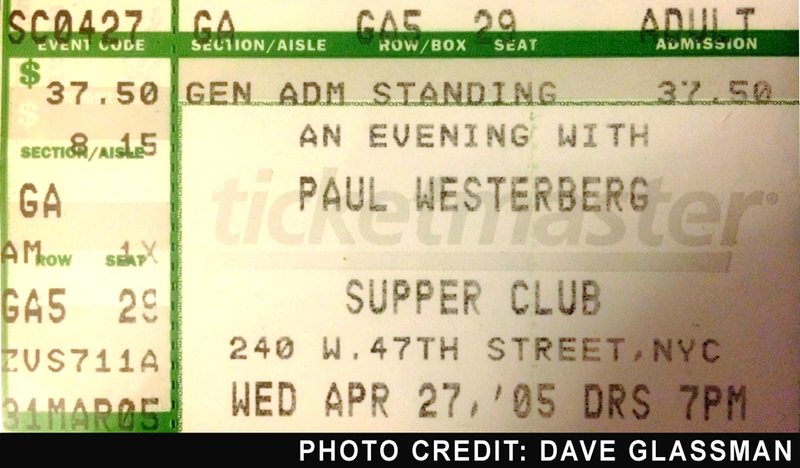 The next time I caught Paul was in San Francisco in 2002 at a Virgin Records in-store gig. If you’re a Westerberg aficionado, you know what went down there. It wasn’t pretty. Certainly not as inspiring as the Joe Strummer in-store at Amoeba Records. So I’m feeling pretty good. And I find an excellent viewing area and I even find a random ottoman to sit on. This is working out better than I could have imagined. 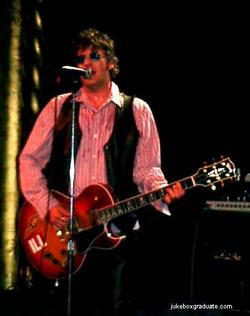 Paul and his band come out and go through a number of his solo work as well as play some requests called out from the crowd for Replacments songs. They even played ‘If I Had A Hammer’ and a Sham 69 song if my memory serves me correctly. I suppose growing up Catholic, it did affect my songwriting… because it affected my life. It affects my way of thinking and everything. I mean, I’m still a religious person. I believe in God, although I never sit down to write “God” songs. I have my belief, and my faith, and I keep it private. But I try to live right and treat people fairly, so I suppose that comes through in the music.